Cauliflower rice is a great invention for nutrient density. Rice does not offer much in terms of nutrition. It’s purpose it to fill us up and leave us satisfied. If a vegetable can do that too then that’s my preferred option. Rice takes on the flavor of any spices and sauces it’s paired with. Cauliflower rice acts in a similar way but I think it actually absorbs twice as much flavor as plain rice. I’ve served it with pot roast and all the lovely juices soak right into the cauliflower with none left to pool on the plate. It’s a sponge for flavor. This recipe can serve as the rice substitute for fried rice, rice casseroles, gumbo, soups or any rice-based dish. While rice is not necessarily something to avoid all together. It is quite easy on the digestive system and will not cause the body harm. I include it in my diet once a week or so and feel great eating it. My advocacy for cauliflower rice is based on the fact that rice is filling and can easily take the place of more nourishing foods like vegetables. Bringing cauliflower into the mix of options allows for diet diversity. This lower carbohydrate rice option is rich in sulfur, which is essential to the health of our cells. We need sulfur for the synthesis of glutathione, taurine and collagen, the binding of amino acids to form insulin, protection against radiation, pollution, and the effects of aging, as well as help to fight off bacterial infections. 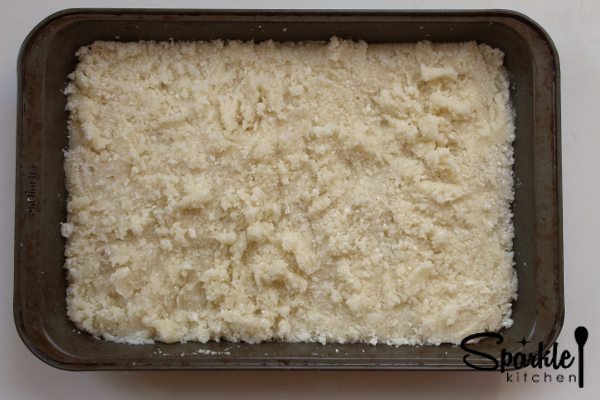 The consistency of cauliflower rice is similar, more on the mushy side of over-cooked rice though. If you like your rice more firm, add 10 minutes to the cook time and rotate the pan while cooking for even results. Grease a 13”x9” roasting pan with coconut oil. 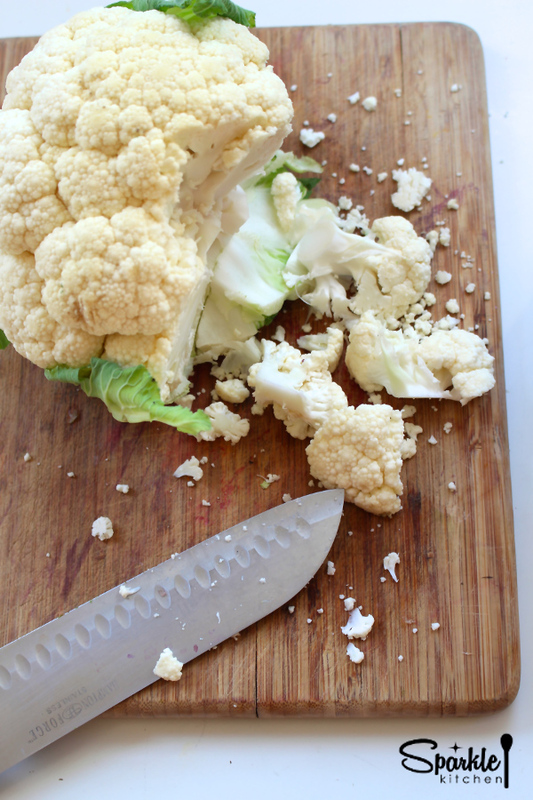 Cut up cauliflower into small chunks. 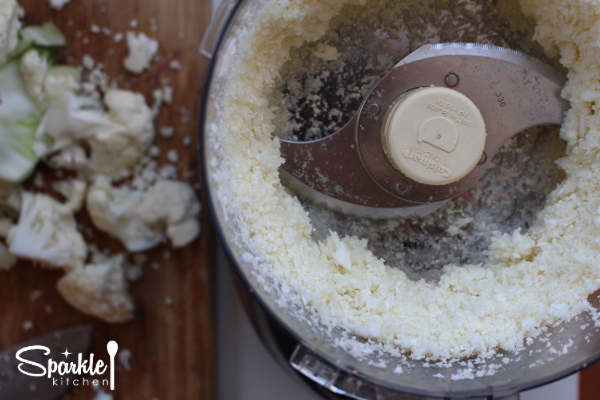 Place into a food processor until it’s the consistency of rice. Spread into the pan and sprinkle the salt over it. Bake for 20 minutes. For a crispier version, cook an additional 10 minutes.